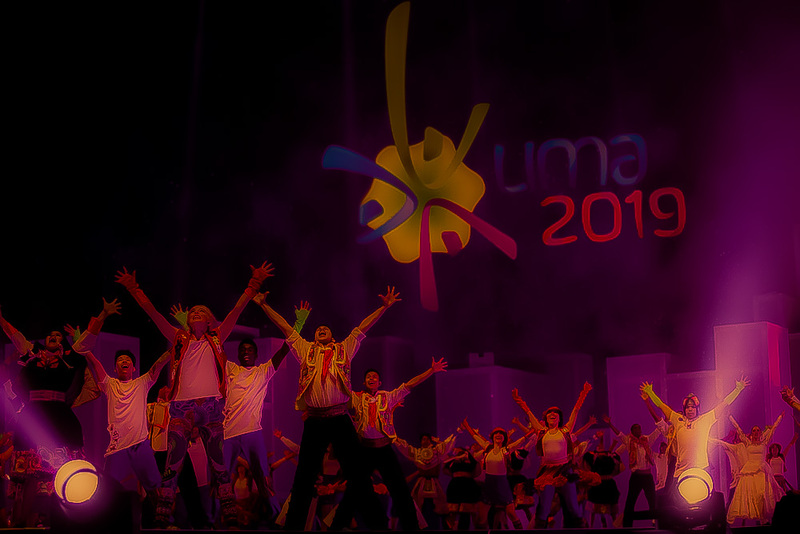 In a first for the company, PI has been engaged to provide advice and consultancy on media operations for the fourth largest sporting event in the world, the 2019 Pan-American and ParaPan American Games in Lima. Glasgow 2019 done and dusted! After the planning came the implementation for a hugely successful European Athletics Indoor Championships in the world class sporting city of Glasgow. After testing and refining across a host of sports, events and countries, the IAAF is the latest international federation to adopt the I-Zone using it to tremendous acclaim at the World Indoor Championships in Athletics, Birmingham 2018. After success in the 2017 Islamic Solidarity Games in Baku, Azerbaijan, and proving its versatility at the IPC World ParaAthletic Championships in London 2017, it has now proven its value at the greatest challenge yet: the sport of Athletics at the World Indoor Championships, Birmingham 2018. 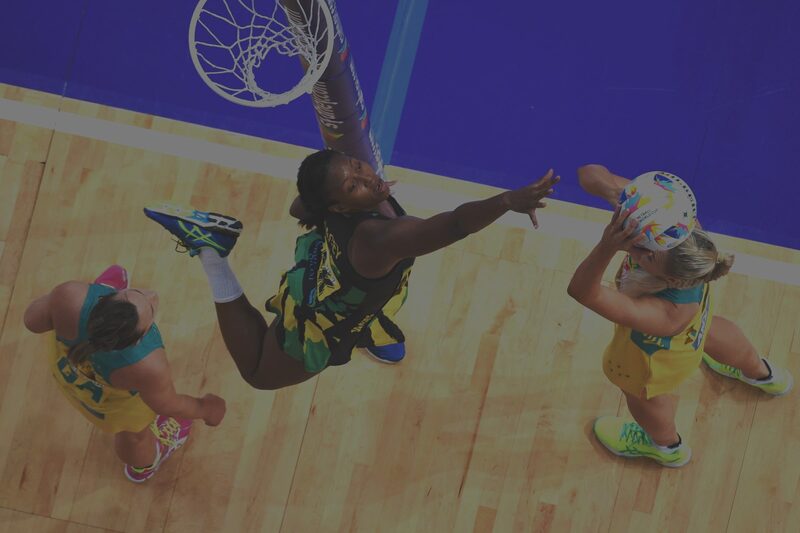 Pearce International is a sports media consultancy that specialises in media operations – we make sure that journalists and photographers have what they need to do their job. With an enviable track record in some of the largest sports events since 2001, Pearce International ensures that this critical client group is happy and the coverage of the event is the best it can be. Learn more about Directors Jayne Pearce & Andrew McMenamin, and the PI Team. I have been in the business of major event planning and delivery for over thirty years. In my work which has included senior executive roles with multiple Olympic Games, World Cup, World Championships and Continental Games I have had the privilege of working with many of the best event professionals in the world. Jayne Pearce sits at the top of any such list. Jayne’s knowledge of media operations is unparalleled. When combined with the respect she has from world wide media she has proven to be an invaluable asset to organizing committees as well as the event “owners”. She is exceptional at developing and advocating for the right solutions, within the constraints of budget, time and competing interests within the major event environment. Jayne understands the challenges of the organizers and the real needs of the media as a client group. She is exceptional at finding the balance point between the two. As a senior executive in major events I face a constant flow of issues for difficult resource decisions. My trust and respect for Jayne Pearce is such that I know if Jayne is advocating for something, it is invariably something we must do. I know she will have done the homework. She will have worked with the client group, her organizing committee colleagues and resource providers. She will already have explored and analyzed the options and she will have arrived at the best solution. In her calm and pleasant style Jayne is no nonsense, high value and simply the best at her craft. Jayne’s understanding of the international broadcast media – and in particular the agencies – has been of great benefit to SNTV in 2015. Jayne was instrumental in setting-up the izones in competition venues at the European Games in Baku, helping SNTV generate sports-focused content and athlete reaction for our broadcast and digital clients around the world. Jayne also coordinated agency access to the mixed zones at the Rugby World Cup, where once again SNTV saw great client pick-up. During the Rugby World Cup 2015 – one of the largest sports tournaments in the world – I found Jayne to be a calming voice of authority on behalf of the organisers, in what was a frenetic period. Professional, accessible, helpful, and always friendly, when I needed clarity on a subject – in order to plan our logistics and coverage – Jayne always provided that clarity. This was the first time I had the pleasure of working with Jayne and Pearce International. Jayne has incredible knowledge, experience and expertise, most importantly she understood our needs and did everything in her power to ensure they were met. Thanks to her determination and the relationships she has built up over the years Jayne managed to get the mix zone opened up for non rights holders for the first time at a RWC, this was crucial in shaping the editorial coverage of our channel. Pearce International played a key role in the design and delivery of the press and photo operations for Rugby World Cup 2015. Jayne Pearce worked with us as a consultant both at the start of the project when the media operations plan was being developed, and during the tournament where she managed the non-rights holder media access on our behalf. Jayne was super professional to work with, and we benefitted from her experience and knowledge in all areas of media operations. My colleagues and I were very impressed with Jayne and Pearce International who were responsible for the press media centre at the women’s European Championship staged at the Lee Valley Stadium in the Olympic Park in August 2015. Jayne was charged with making sure the British and European press received top class service and updates in regards to this prestigious event in the sporting calendar, all the more important as it was the first major tournament to be held at the Olympic Park legacy home of England Hockey. The media centre was run immaculately, early teething problems overcome with the minimum of fuss and problems. Jayne particularly dealt with the needs of individuals from all the various organisations involved in covering such an event and went about her business in discreet and diplomatic fashion. She also brought together a team that responded to her completely. These are absolutely essential assets when dealing with all that a press corps demands. We were very grateful indeed to have received such service. England Hockey contracted Jayne and Pearce International colleagues to plan and manage our Media Services operation at the Unibet EuroHockey Championships in 2015. The professional service, expertise and added value to our event in this key area resulted in high levels of satisfaction ratings from members of the media. Additionally, we benefited from a real step change in the engagement of athletes with members of the media through the I-Zone concept which was also really well received by our National Associations and Federations. Jayne provided a great proactive service throughout and was a pleasure to work with. After a week of working with Andrew I was extremely impressed with his genuine energy, enthusiasm, and dedication to the new team and the new challenge. His charismatic personality and ability to relate and communicate with press, volunteers, athletes, and paid staff is a true talent. He is the type of guy you want on your team because Andrew gets things done. Andrew went above and beyond to fill those shoes! I hope to have the opportunity to work with him again and he has my highest recommendation. At the time of the London 2012, Paralympics Andrew was the venue photo manager at Greenwich Park. Greenwich Park, was the most high profile venue outside the Olympic Park, and was the centre of the media’s spotlight. Andrew’s role as the venue photo manager saw him managing many 100’s of photographers, and he excelled on all levels. The photographers were from many different cultures and Andrew not only managed their expectations, but also made their time and Greenwich Park very memorable. Andrew’s people’s skills are excellent and this was shown many times, not only managing a very large groups of photographers but also managing his own staff. Andrew is an extremely experienced photo manager and has a very calming manner under pressure. He is very good team player and works well under all manner of conditions. Andrew is not afraid of hard work and this was demonstrated at many time during the Paralympics at Greenwich Park. It was a pleasure to have Andrew in my team, and I would have no hesitations in recommending Andrew for any positions in the future. Andy was a really valuable member of the company at Hadleigh a true gent, a great character, superb diplomat and a star of the senior team. I was fortunate to work with Jayne throughout my time at LOCOG. 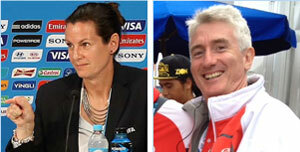 As head of Press Operations she played a major role in both the operational planning and delivery of the 2012 Games. She represented the needs of her clients extremely well but unlike many others she was always willing to consider compromises and doing things differently if it was necessary for the greater good. She brought maturity, common sense and humour to the team and I thoroughly enjoyed working with her. She has vast experience of the sports media world and is extremely generous in terms of sharing that experience with others. I benefited hugely from her tutelage and I will always be grateful for the support she gave to myself and the venue management team. Jayne put together a very strong team to deliver the Press Operations at Games time and the quality of people she was able to attract was, I am sure, a reflection of the respect she enjoys in the industry. She is organised, structured and consistent in her approach and perhaps just as importantly, she is great fun to work with. When you know what Olympic Games involve, on all levels, then you can imagine what the duties of a Head of are: the organisation of your own department, interaction with other functional areas, staffing and so on. Jayne Pearce was Head of Press Operations at the 2012 London Olympic and Paralympic Games, and it is difficult to find the right words to do justice to her great work. She covered her functional area with perfect knowledge, without forgetting the human touch which you sometimes miss at big events. Jayne’s door was always open, and she did not only listen to the minor and major issues in her squad, but promised solutions and delivered them, too. As a true leader, she inspired and motivated, she was a real shining example… and she shared anecdotes, which you should hear the next time you speak to her. I loved every day with Jayne Pearce in London, and learned a lot. I worked with Jayne in the build-up to London 2012 and she was never less than excellent. She deeply understands the needs of the media but, better than that, Jayne was able to deliver services on that understanding with an attention to detail I wish I possessed. Jayne was very professional but with an easy manner and endless patience which meant she was always great to deal with. She can have no better testimony than the fact I never heard any of my colleagues in other media organisations say a bad word about her. And we were a picky bunch. First time I have been working with Jayne was at the Olympics 1996 in Atlanta. Now – 16 years later at the London Games I can reconfirm the working experience with Jayne from last years. She is by far the best person in the world to run press operations at highest level and at the biggest sporting events globally. Her way to serve the client group on one side and her way to motivate her staff to deliver best quality to media is unique. She pays great attention to details, where others don’t even think about it. Her language skills are impressing everyone working with her. Jayne Pearce is probably the most reliable, and best organized person I have ever had the pleasure to work with. Her knowledge and experience in the field of press operations is impressive and I hope I will have the chance to work with her again in the near future. I have worked with Jayne on previous occasions over several years and it was a pleasure to be able to work alongside her at London 2012. Her knowledge and experience are second to none; her attention to detail and ability to get the best out of her teams is excellent. She managed a great team of people, but her management skills were largely what made them a great team. Jayne is one of the most able and professional press chiefs I have had the good fortune to work with. She has an excellent reputation working at major sporting events worldwide and her expertise and experience are second to none. Jayne is good at managing people and dealing with issues and ‘crises’ and her people skills are first rate. I have no hesitation in recommending her. Jayne is a first class professional who combines excellent strategic planning with an eye for detail that delivers on the ground success for every project she works on. I have worked with Jayne on a number of media projects, where organisations we have worked for have been closely involved. Her collaborative and hard working ethic, combined with her professional knowledge, have made the process and the end result first class. I thoroughly recommend Jayne as a top class operator. Working with Jayne – undoubtedly one of the best press operations professionals around – in the run up to and during the London 2012 Olympic Games was a true privilege. Her knowledge is exceptional and her attention to detail second to none. She is a team leader and player who inspires everyone around her. She delivers with a smile, addresses all issues and concerns head on and stays calm and level headed under huge pressure. Throughout she never loses sight of the end goal. Anyone lucky enough to work with her will enjoy learning from her. Jayne is an outstanding organizer and press operations manager. I’ve worked with her under the most challenging of circumstances during several Olympic Games and she has always been successful. Put quite simply, nobody does it better. Jayne is the world’s leading expert of Press Operations at the Olympic Games and advising candidate and bid cities as to their Press Operations Planning and Activation. There is no better expert in this field – exceptionally qualified, proven expertise, and calm and cool under pressure to get the job done on time and budget. Jayne and I worked together at UK Athletics in the late 1990s and her experience, talent and support were absolutely invaluable. In addition to the standard NGB activities there were two significant and potentially very damaging crises that Jayne led the management of. The handling of both of those incidents showed the brilliance of Jayne and were I ever in a similar situation Jayne and Pearce International would be the first name on my list to call. Effective working relationships with sports governing bodies and event managers are at the core of our business. Pearce International’s vast experience and expertise has helped us foster these relationships resulting in world class photographic coverage of the events at which they have provided us with media services. Pearce International fully designed and implemented the Media Operations program of the 2003 Athletics World Championships held in France. Their professionalism, sense of detail and service to all the populations, and ability to serve demanding stakeholders coming from various backgrounds made them a valuable part of the team. Jayne Pearce is unanimously appreciated by all those who have had the chance to collaborate with her on various projects. I wouldn’t ever believe in setting forward to running an event without using Pearce International. The expertise, competency and manner in which the media service is delivered by this organisation is one of great professionalism and due diligence. As a sports journalist I need to know that I can gain access to accurate information quickly and services that are reliable. I have been assisted at international and domestic sports events by Jayne, and now Pearce International, for twenty years and always feel confident that I will receive a thoroughly professional service when I know she is involved. The press is assured of having someone who understands what is needed and does their utmost to deliver it. BBC Sport have worked with Jayne, and latterly Pearce International, over a number of events from Olympic Games and major Athletic Championships to Marathons and Road Races. Her breadth of experience is extensive and Jayne is used to working with local organising committees, broadcasters and other media. Jayne therefore understands the issues of organising both large and small events and deals with all parties to ensure that they work together efficiency and in harmony. Because of her collaborative approach it has been refreshing for TV, Press and Photographers to work together with terrific results. It is always reassuring to see Jayne involved in our events. I have had the privilege to work with Jayne Pearce on three Olympic Games, two FIFA World Cups, and numerous bids for both Olympic Games and FIFA World Cups. I actively seek Pearce International’s participation in any major project in which I am involved, because Jayne is so competent, so hard-working, so reliable, and thoroughly pleasant to work with. ArupSport have consulted Pearce International for advice on the design of media facilities in sports venues for many years. As designers of international sports stadia such as the Beijing Olympic stadium and the Allianz Arena in Munich, ArupSport has required exacting advice for their designs. Pearce International has always provided this with their in-depth knowledge of media operations from overall strategies to the smallest details. Working side by side with Pearce International for the 2016 Invictus Games Orlando, I witnessed an unmitigated triumph in media and world coverage. As Invictus Games was staging its second games (first in U.S.), many protocols had yet to be tested or encountered. Jayne Pearce came on site with the acute sharpness of a point guard. The Pearce International team remained nimble and handled numbers nobody would have thought possible beforehand. Jayne made real time decisions with incredible foresight and precision. The media coverage that ensued was volumes higher than expected. Together we provided highlights each day to the world media, keeping eyes all over the globe on the Invictus Games. I enjoyed working with Pearce International even in the most pressure driven situations, and the great success of the Invictus Games is a testament to the teamwork they inspire. Andrew worked as Photo Manager at the Alltech FEI World Equestrian Games™ 2014 in Normandy (FRA). Conditions were frequently extremely challenging for the media, and particularly for the photographers, so there were considerable demands on the Photo Manager to get things working smoothly asap. Andrew rose to the challenge and worked extremely hard to ensure that the best possible conditions for photographers at the event were in place. His diplomatic skills and powers of negotiation were called upon on numerous occasions and both the working photographers and the FEI (officials and HQ staff) were extremely impressed with calm exterior, which belied a steely determination to “get the job done”. And he certainly did get the job done. We would be delighted to work with him again in our sport and would have no hesitation in recommending him to other International Federations and major event organisers.